Welcome | Annual Celebration of Dr. Martin Luther King Jr. Annual Celebration of Dr. Martin Luther King Jr. The Rev. 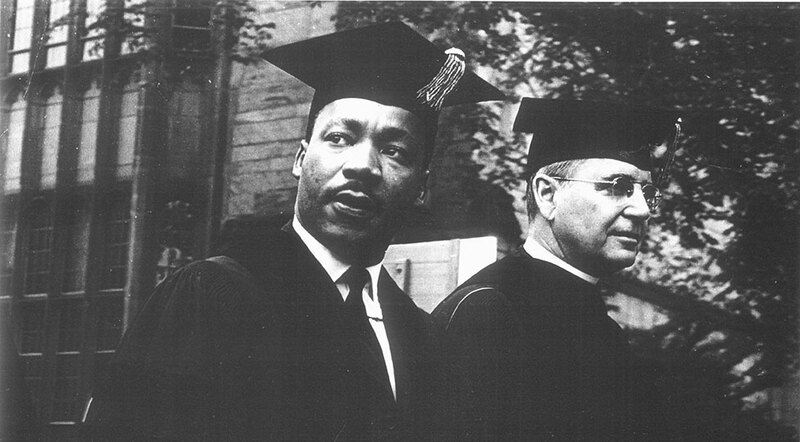 Dr. Martin Luther King, Jr., shown here with former Yale trustee the Rev. Gardiner M. Day, received an honorary LL.D degree at Yale's 263rd commencement in 1964.